Nintendo has revealed the complete North American launch lineup for the Nintendo 3DS, its new 3D, dual-screened, touch-based gaming handheld. The system will hit North American shelves on March 27 for $249.99. Lead by Pilotwings Resort, Steel Diver, and Nintendogs + Cats, all games will launch at $39.99. By June, Nintendo expects more than 30 games will be available for the 3DS. Interestingly, just as Nintendo President Satoru Iwata has hinted at, the launch lineup looks very male oriented, filled with action oriented titles. Nintendo may be trying to target a new demographic with the 3DS. By holding back on some of its upcoming games like The Legend of Zelda: Ocarina of Time 3D, Star Fox 64 3D, Kid Icarus: Uprising, and Mario Kart, it is also giving third-party publishers some breathing room on launch day. Also notable is the strong support Ubisoft has given the 3DS. As it did with the Wii and other recent consoles, Ubisoft is heavily supporting the 3DS, releasing four games at launch, which is more than Nintendo itself is committing. 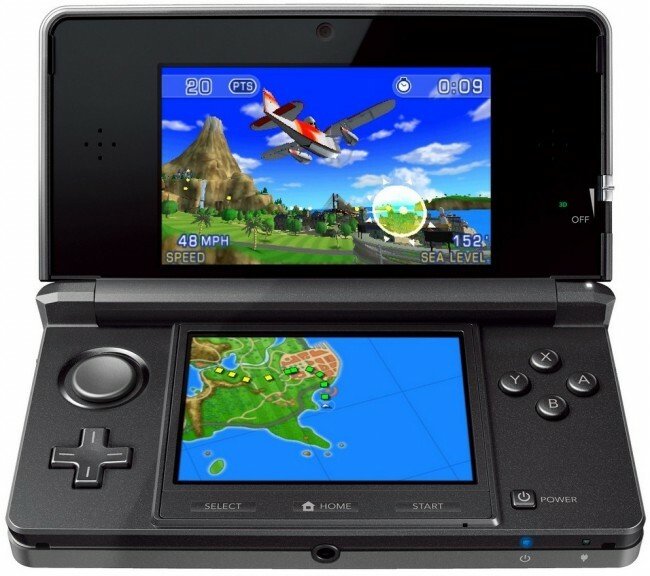 What do you think of the Nintendo 3DS launch lineup? It’s pretty varied for a Nintendo system, we think. Does Nintendo need a Mario game to launch its hardware properly?